Léo Fabre-Cartier is a French musician. He studied the oud with great masters such as Marc Loopuyt (ENM de Villeurbanne), Iyad Haimour (Syria) and Ahmed Chiki (Morocco, Arab-Andalus music). 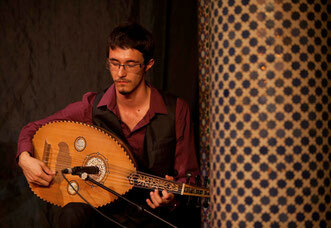 Holder of a DEM (Diploma of Musical Studies) in traditional oriental music, he also has a degree in musicology from the University of Lyon 2. Living in Morocco since 2012, he participates in numerous projects ranging from the traditional music of the Orient (Majlis Trio) to encounters betweeen Ottoman and Baroque music (Ensemble Les Turqueries), by way of contemporary dance (Jitti Chompee), contemporary music (Vincent Trollet), slam poetry (Ami Karim), music for documentary (Der Markarian, la rencontre) or even story-telling shows (Compagnie Les Chemins du Monde). Since 2016 he has specialised in Moroccan popular or “chaabi” music alongside the young loutar player and master of Amazigh songs of the Middle Atlas, Younes Baami, with whom he has founded the sextet Araw N Fazaz. He is also co-founder of ArbaA Experimental Chaâbi, a collaboration between the French jazz grove quartet ArbaA and Moroccan chaabi musicians. 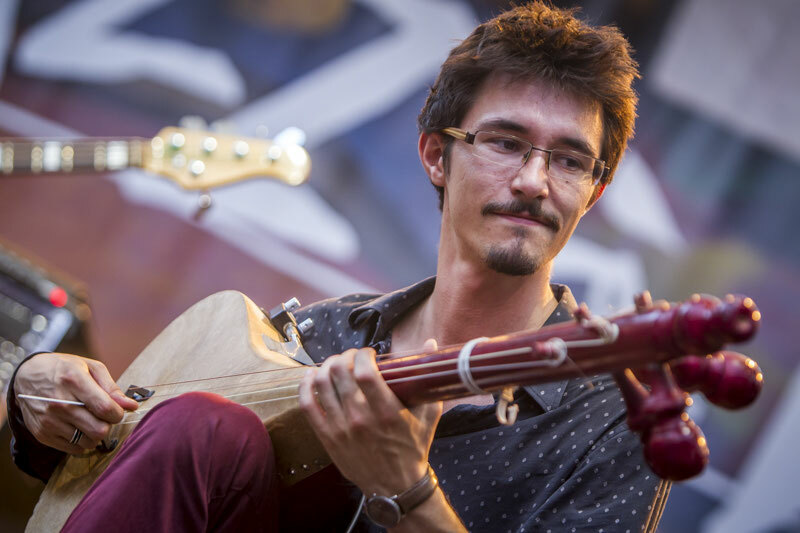 His activities as a musician have taken him to Burapha's Music and Performing's Arts International Festival (Thailand - 2013), at the Fes Festival of World Sacred Music (Morocco - 2014) and at the Jazz à Vienne's festival (France - 2017).